A temporary exhibition has been opened in the chapel at Castle Drogo. Visitors can find out more about the Salonika campaign and William George Arscott’s part in it. The display was researched by History A level students at Okehampton College and is complemented by the film of the drama production. 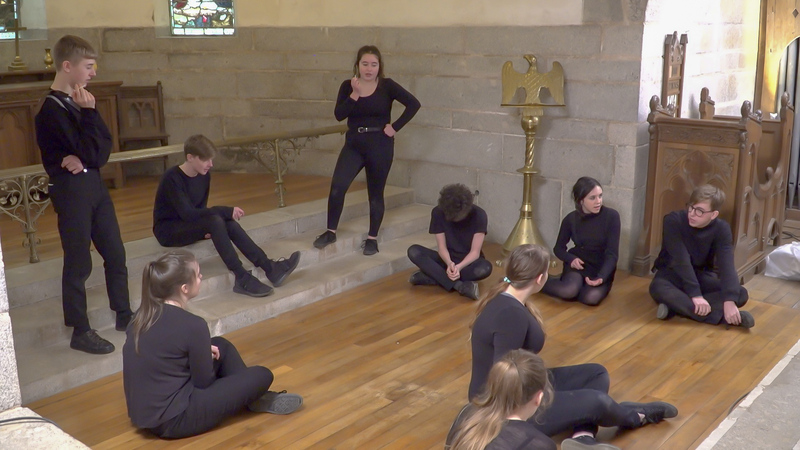 In the atmospheric setting of the chapel built by William George Arscott and his fellow stonemasons at Castle Drogo a century ago, students from Okehampton College performed their drama piece based on his story. 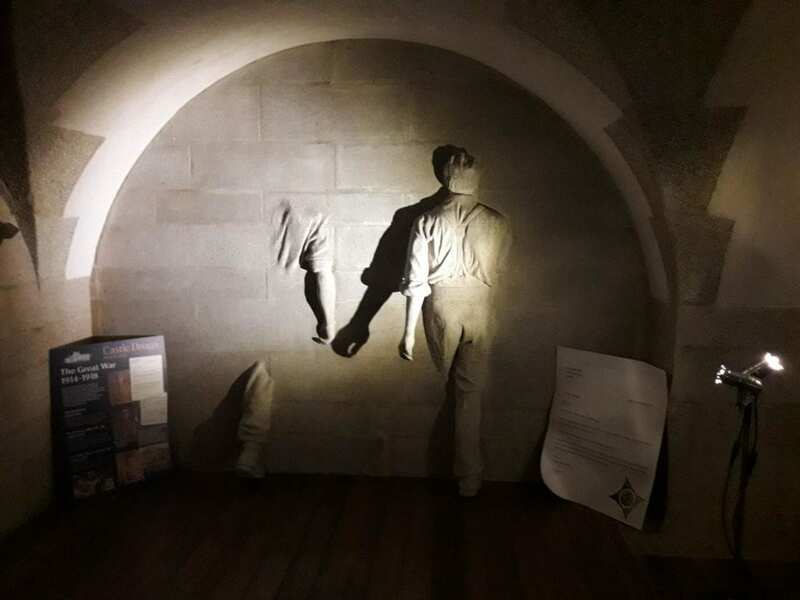 Starting with their working life in the fields and at the Castle, the production explored the feelings of the young men as they made the decision to sign up, partly out of patriotic fervour and partly out of fear of being called a coward. Much of the story was told through the eyes of the family, reading letters and news reports, and finally receiving the dreaded telegram informing them of their son’s death. The piece was part of the students’ GCSE studies and made use of exciting physical theatre techniques, where communicating ideas through dance-like moves and body language complemented the spoken word. 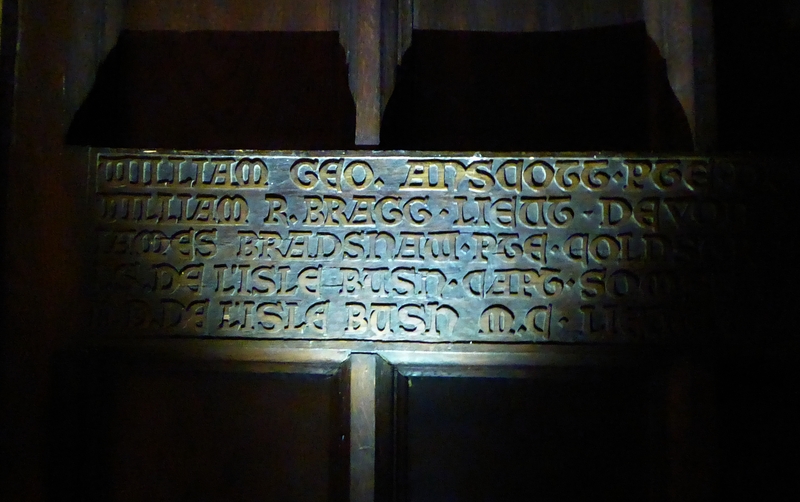 A live performance of the ‘Musical Memorial‘ to William George Arscott concluded the performance. A professional film company recorded the event and we will upload the final film as soon as it is made available. It has made it so local – the thought that the actors are of an age that would actually be participating in the war for real. A real insight in to how the story affected young people. Also, how the use of physical theatre can help show deep feelings and multiple viewpoints. I hadn’t realised how many had died from illness and malaria. Today was the centenary of the death of Private William George Arscott, who was killed in the Salonika Campaign on 29 January 1918. 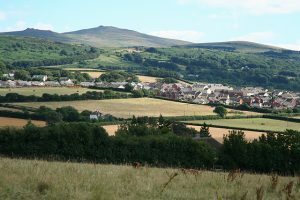 To commemorate the event, we read out a eulogy in Drewsteignton, his home village, at an event attended by 50 local people. The eulogy included text from the students at Okehampton College. 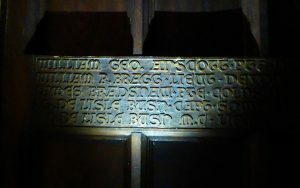 The evening ended with a commemorative 100-change bell ringing session in the parish church, where William himself had been a ringer. Few were unmoved by the evening’s events, which took place just a few yards from the cottage where William had lived. 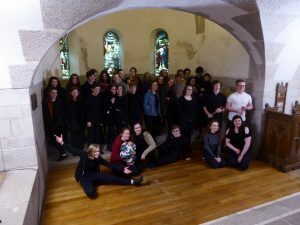 In partnership with the Two Moors Music Festival and Graham Ross from Clare College in Cambridge, ‘A’ Level Music students have composed a piece inspired by the story of William George Arscott, from his time as a bellringer in the village of Drewsteignton to the horrors of action in Salonika. The piece will be premiered on the centenary of William Arscott’s death on 29 January 2018. 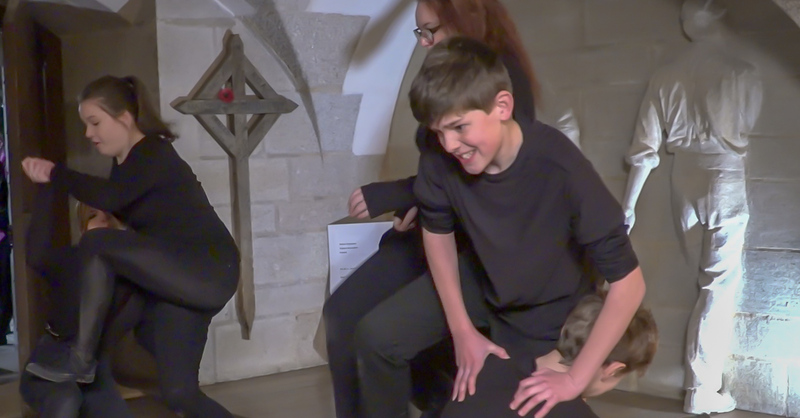 Meanwhile Year 10 drama students (32 in all) have been developing a production using physical theatre techniques, exploring issues arising from their study of the Salonika Campaign and William Arscott’s experiences. 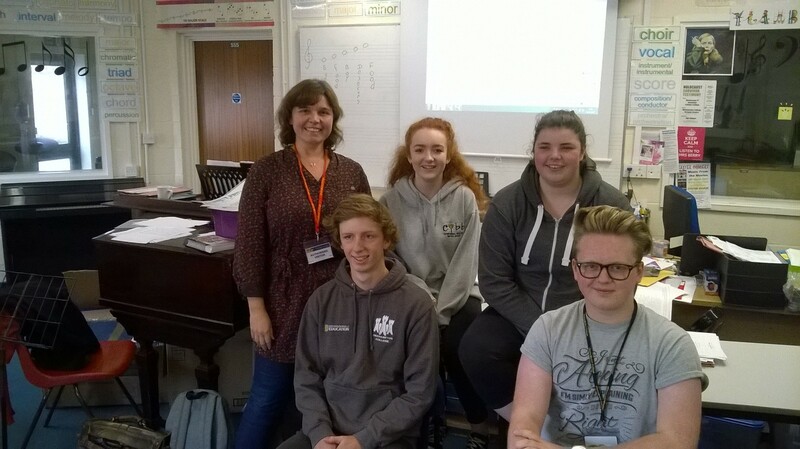 Teacher Lucy Roberts noted how the students were fascinated by the gaps in William’s story and keen to find answers. Their production will be performed at Castle Drogo in March, with a recording of the music students’ composition providing a backdrop to the piece. In the mean time they are doing more research, using letters and accounts of other soldiers and nurses who served in the Salonika Campaign. A film of the drama activities in development will be prepared in time for the centenary events of 29 January. In addition to the material provided by Castle Drogo’s researchers, the Salonika Campaign Society and ‘Away from the Western Front’, the school’s history department has also been researching the campaign and a group of ‘A’ Level students will be producing a presentation for Castle Drogo to inform visitors about Salonika and its connection to the Castle. They are also advising their drama and music peers about the historical context. The partnership with Okehampton College is developing well. 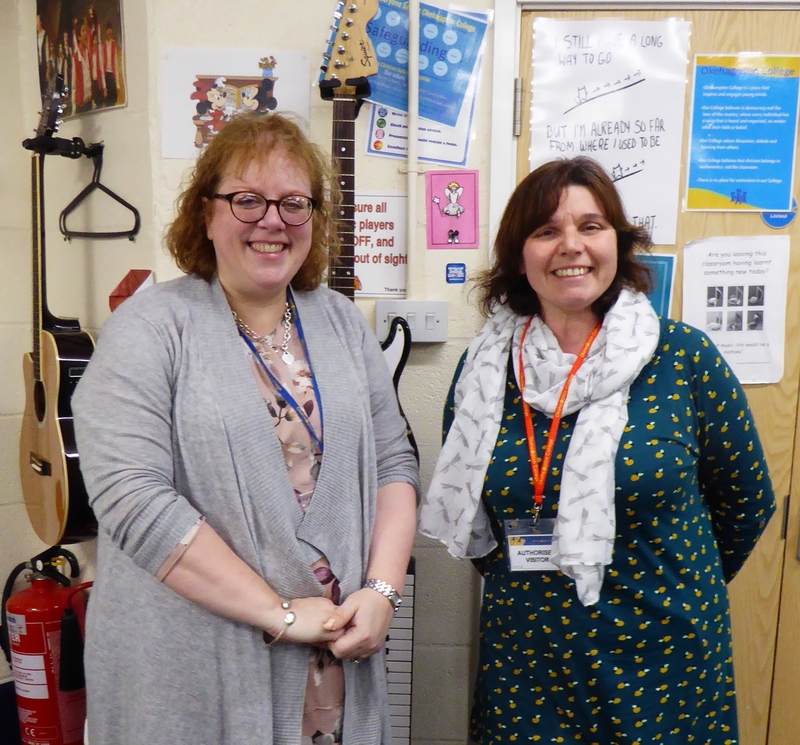 Paula Clarke from Castle Drogo has visited the college several times since the start of the term, speaking to assemblies and meeting Year 10 GCSE Drama students and ‘A’ Level Music students. Paula said: ‘The students seem pretty excited about the project and the teaching staff are fully on board. 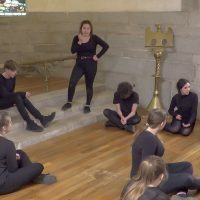 They are using this story to help teach the students about devising techniques in music and drama.’ Paula is also hoping to get ‘A’ Level History students involved with the research. We’ll share the project in an assembly and meet with the team involved. The students will make a visit to Castle Drogo in late September to get a bit of inspiration. In October they will make a day trip to Sandham Memorial Chapel for further inspiration, before starting on their school-based activities. 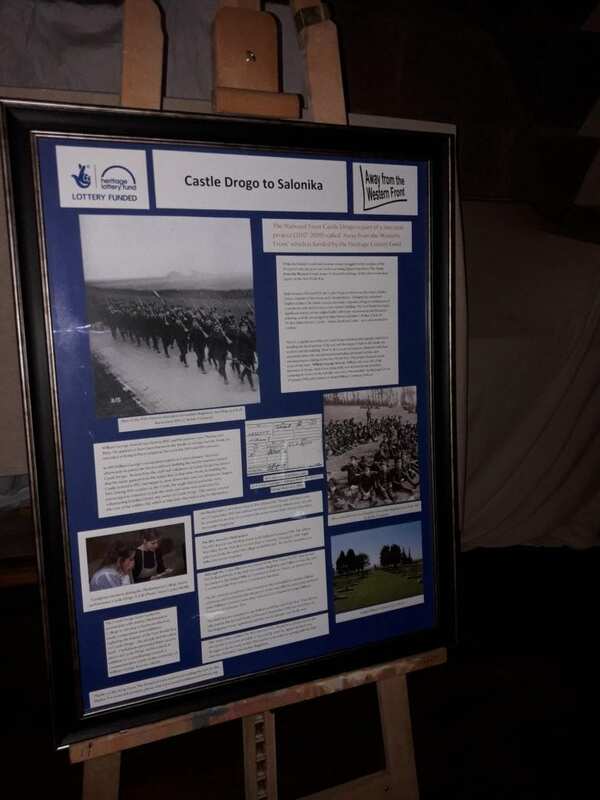 Staff and volunteers at Castle Drogo met Mr. Vivian John, from the Salonika Campaign Society, to discuss the project and learn more about the military research needed. During the visit Viv offered to support the project by providing insights into the Devonshire Regiment’s time in Salonika and to make available further records, photos and detailed maps of the terrain. In the photo are (left to right): Robin Clutterbuck (National Coordinator, ‘Away from the Western Front’); Viv John (Hon. 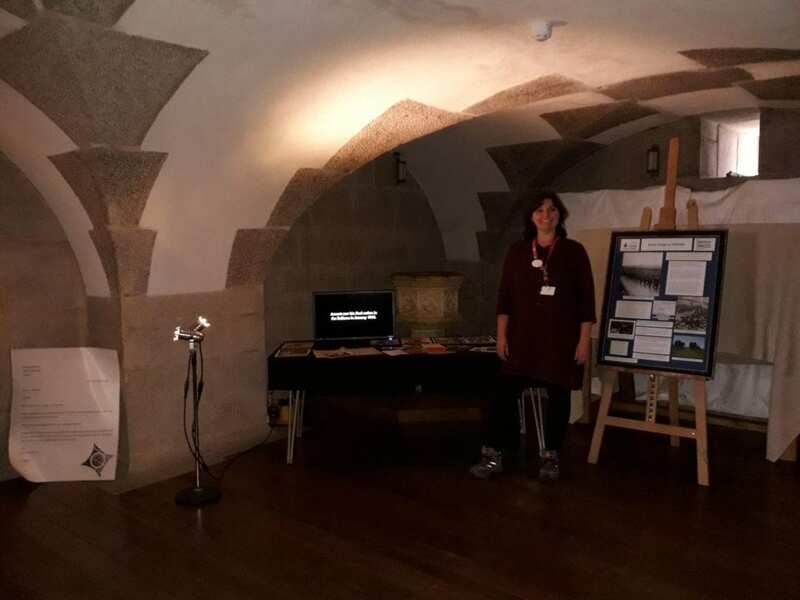 Secretary, Salonika Campaign Society); Erica Williamson (NT research volunteer); Paula Clarke (Community Engagement Officer, Castle Drogo) and David Spencer (NT volunteer room guide). 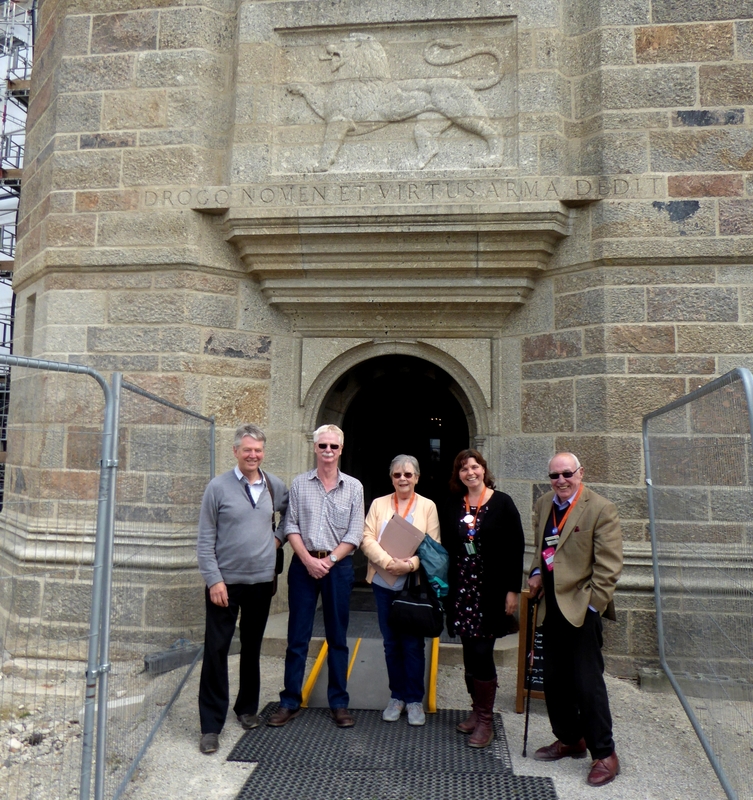 Builders have returned to Castle Drogo nearly a century after it was built. The labourers who left to fight in the First World War would be shocked to see how the Lutyens-designed castle had been letting in water, damaging timbers and interior fittings. Find out more here.